Necklace that screams high fashion. From Paris Hilton to Jessica Simpson they all wear gold ring necklaces. 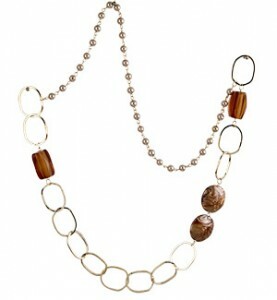 This necklaces looks great with black dress, jeans and everything in between.